Japan's most famous architect, Kengo Kuma, wanted the New National Stadium for the Tokyo 2020 Summer Olympics to be as low as possible. At just over 47 metres, it is well below the main stadiums built for the Olympics in London and Sydney, both closer to 60 metres. It is one-third shorter than the initial winning design, which was scrapped after a public backlash against its exorbitant budget. With a flat roof made out of wood and steel, and eaves spilling over with greenery, the idea is for Tokyo's new stadium to blend in with the lush surrounds of the Meiji Shrine gardens. But right now, the stadium stands out as a giant construction site, just one of many scattered across the city in the lead-up to its second time hosting the Summer Olympic and Paralympic Games. It may be comparatively low-rise, but it represents the city's high ambitions. From the skyscrapers popping up above the shopping district of Shibuya to the creation of new train stations and the conversion of the old Tsukiji fish market – one of Tokyo's premier tourist attractions – into a giant car park for the Olympic Village, the coming Games are dramatically altering the city. Giant posters of table tennis players are plastered across shopping malls and daily newspaper reports keep track of budget blowouts and deliberations on changing the marathon's start time to avoid the stifling midday heat. Just over a year-and-a-half out from the opening ceremony, it is already almost impossible to escape the Olympics. There is no standout infrastructure project like in 1964, when Japan used its hosting of the Games to unveil the world's first high-speed train network. But there is the tantalising prospect of driverless cars to ferry around athletes, multilingual robots to guide the expected 600,000 foreign visitors, and man-made shooting stars to wow spectators at the opening ceremony. There is also this makeover of Tokyo, the country's window to the world, and an underlying shift in monocultural Japan's approach to foreign workers and visitors, which the government hopes can fuel its nascent economic recovery. As more areas invest in new identities, we speak to designers and councils about why this is a growing trend, the benefits a visual brand can bring to a locality and the ethical issues to consider. From small communities to entire boroughs, new place brands are cropping up at an increasing rate. Thought to boost tourism, attract investment and boost morale among local people, design studios are being called in to create visual identities for various destinations, in the hopes that a strong brand will bring a range of benefits. But how effective is place branding and why are so many local authorities and areas investing in it? While a strong brand is thought to help entice visitors which in turn lifts the local economy, some people such as Ryan Tym, founder and director at studio Lantern, believe tourists are also increasingly looking on a smaller scale when they choose where to travel, leading to smaller areas developing their own identities. So instead of France, perhaps they are interested in Bordeaux, or rather than London as a whole, maybe its Covent Garden that attracts them. This is where branding a locality comes into play. He believes this is enhanced by low cost airlines flying to more destinations, forcing cities to work harder to attract visitors. Empowering residents and boosting morale in a community is another reason for branding a place, such as with Lantern’s project for the Newington Estate on the edge of Ramsgate, a seaside town in Kent. Home to around 5,000 people, the neighbourhood was chosen to receive £1 million from the lottery’s Big Local fund, putting residents in control of how the money was spent without council involvement. Previously considered “forgotten” and “underfunded”, Tym says, the community invested in initiatives including credit unions and community gardens and also decided to bring design studio Lantern on board at a discounted rate. The aim was to create a sense of pride in the area, partly by flipping the concept of an estate from “negative” to “positive”, raising awareness of new initiatives going on in the area and involving more people in decisions around money. The project included creating branding which has been rolled out on a new website, marketing materials, and a poster campaign encouraging more people to get involved with community matters. It also included a newspaper written by local people and designed by Lantern. “The concept behind the brand was embracing that there is no shying away from this being an estate but positioning it as an ‘estate of enablers’ and harnessing that positive underdog spirit the community has,” he says. As the research was primarily quantitative rather than qualitative, due to time constraints, Turner says they knew what people thought but not “why they thought it”. The organisation was faced with capturing the essence of three existing places, while staying relevant to them all. To try to solve this, the council team looked for common features of the four concepts, which included creating something “striking” with a “sense of place” and “longevity”, along with a recognition of there being three towns. The resulting logo features the shape of the area’s coast made up of dots, aiming to create a “digital feel” which Turner says represents the area’s creative sector, with three larger dots reflecting the three towns. “It has 113 dots representing 76 councillors, 33 wards, three towns and one council,” Turner adds. In terms of how to brand a place effectively, many agree it is important to involve the people it represents from the start, such as the community and various stakeholders. For Tym, working on the Newington Estate project began with speaking to residents about their neighbourhood and why they “felt forgotten as an area”, and about positives of where they live, which includes a “very strong sense of community”. The studio then presented two potential design routes to residents, settling on black illustrations on a coloured background, chosen to be “easier to print and roll out,” he says. Tym says the outcome has been positive. “It has created a far greater sense of pride in the area, the newspaper has continued and there has been an increase in people attending events,” he adds. Similarly, when branding Leicester Square, Lantern aimed to speak to a wide range of stakeholders including associations representing local businesses and residents, Tym says. The project was paid for by the Heart of London Business Alliance, a business improvement district (BID) representing companies in Leicester Square and Piccadilly. The aim was to challenge perceptions, as “there had been a lot of investment in the area, but despite this, its image hadn’t really changed among Londoners,” he says. Some people viewed the area as “a bit of a tourist trap” or only recognised it as a place for film-watching, he adds. Speaking to local stakeholders helped the studio to create a brand which aimed to tell “some of the lesser known stories” of the area and capture the square’s spirit. The brand is centred around a logo resembling the letter “L” at an angle, that looks like it is made out of neon lights forming three connected boxes, with the letters “LSQ” inside them. Marketing materials including posters with brightly-coloured gradient backgrounds, setting out a schedule of things to do in one day in the square, such as “11.47 Lego, 13.04 Lobster, 15.09 Chocolate, 20.03 Cabaret”. Steve Connor, CEO at Creative Concern has worked on place branding for areas including Manchester, North of Tyne and Aberdeenshire. The studio worked alongside celebrated designer Peter Saville when he was creative director for Manchester City Council on a long-term project between 2007 and 2013. The work included creating two books for the city filled with “fascinating facts” and data about the area, a new image bank for Manchester and a range of installations. “If you do not embed yourself and your project [in the community] you will fail,” Connor says. “We carried out a series of high-level workshops with business leaders, sports leaders, people from the University of Manchester and others,” Connor says. A similar process applied to several of the studio’s other projects including branding and positioning for Aberdeen, carried out in partnership with Aberdeenshire tourist board, Aberdeen city council and two local universities; Robert Gordon University and the University of Aberdeen, among others. The project has been collectively paid for by all the partners. 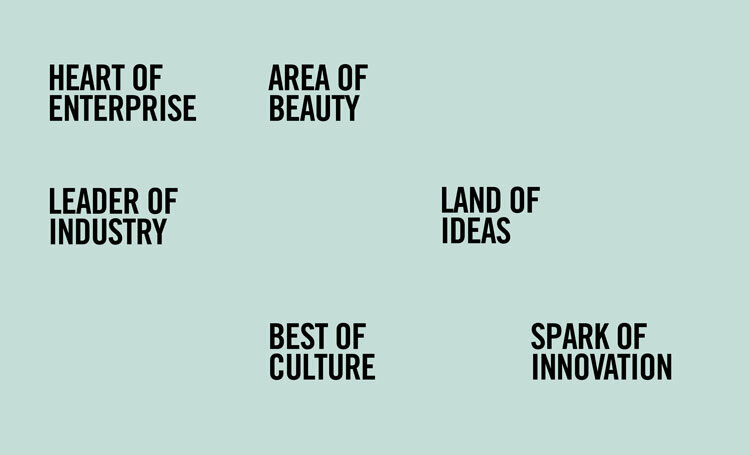 The studio created a range of new branding elements including the tagline “Abzolutely” inspired by the city’s airport code ABZ, a new image bank and a new “narrative” for the region, which all stemmed from spending “a lot of time talking to people”, Connor says. In terms of challenges around successful place branding, Tym and Connor, among others, agree that changing an image of a place takes time. Similarly, Lantern founder Tym believes one of the greatest challenges with place branding is managing expectations of different stakeholders and of those expecting “immediate results”. Another shared view is place identities need to be more than just a logo or a strapline, but also include assets such as imagery, case studies, key facts, narratives and marketing campaigns — and most importantly, it all needs to be “genuine”. When carried out effectively, Connor believes place branding can have a wide range of benefits. “It can lead to talent attraction; it helps people celebrate reasons that they are proud of an area; it attracts students to study; it helps unlock investment; it encourages people to stay somewhere and build a future; and of course, it helps tourism and the local economy,” he says. Despite the benefits, few place branding projects pass without any backlash and there is often criticism around spending public money on design and marketing. Connor defends the right of authorities to do so but adds that criticism can be expected if it is done badly, such as by not involving local people. “Cities are vital economic engines… the idea of not spending money on managing the reputation of these places is insane,” he says. Tym adds it is understandable that people have concerns about authorities spending money on branding but believes “short-term cost” often leads to “long-term saving”. He says branding can add value, but the spend needs to be balanced with the cost of other issues an authority is facing. Turner, who says the cost of designing the final BCP logo was around £8,000, adds that is it understandable that people question public money being spent on branding at a time when “budgets are being slashed”, but says authorities have a responsibility to create a brand so residents know who is accountable for local services. She adds that, in BCP’s case, it is only being rolled out across touchpoints where there is a legal requirement to start with, such as on staff badges and parking tickets, and will roll out more widely over time. Should a local studio work on the project? While local people are often involved in the decision-making process of creating new place brands, local studios are not necessarily always employed to complete the work. 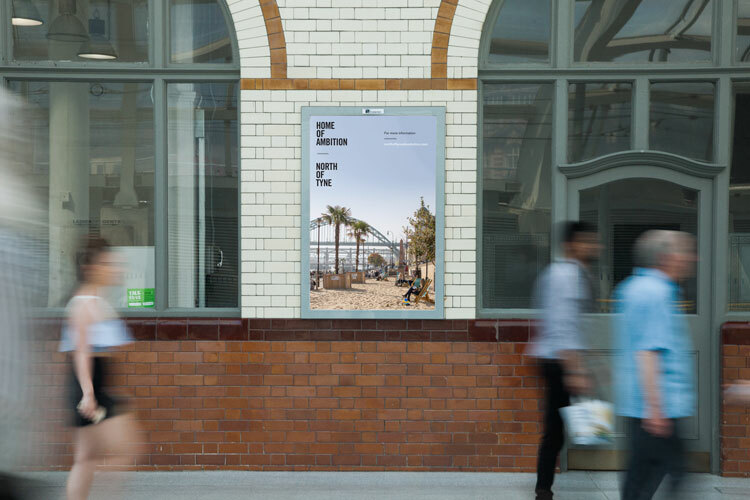 The North of Tyne Combined Authority hired Manchester studio Creative Concern to create its branding, which worked alongside other more regionally-based creatives. The project involved creating an identity for the area and a series of straplines such as “home of ambition”. Connor says studios with a “strong track record” of branding places should be able to work outside their immediate footprint but emphasises the importance of working alongside people based in the area. “We worked with local freelancers and photographers and it was very much done in partnership with locals,” he says. But while branding a place can make it appear more attractive, some worry this in turn can lead to gentrification, with existing communities being priced out. Tym says that while this may be a risk, he does not think it is down to branding, but the whole planning of an area, which he says needs to include a mix of affordable housing along with shops and restaurants at different price points to ensure a variety of people feel welcome. It seems clear that when it comes to place branding, it is hard to please everyone. Understandably, people tend to have strong connections with where they live or work and branding an area without getting the community on board shows poor judgement, especially if public money is involved. Stories behind a place are important, and capturing these by talking to the people who know and live them seems like a responsible way to encourage those people to support a project. When it is done right, place branding can be a powerful thing, boosting civic pride, attracting tourism and investment, and empowering communities. The co-founder and creative director at Territory Projects discusses why designers should be using technology to bring brands to life, from movement and interactive touchscreens to virtual and augmented reality. As our communication channels become focused on screens and expand into new digital platforms such as virtual and augmented reality, there is an increasing opportunity to enrich brand identities with movement, dimensions and function, expressing far more than has traditionally been possible. Free from the limitations of the static and two-dimensional (2D) forms, kinetic identities allow designers to create a sense of personality, emotion, attitude and intelligence within the very symbol synonymous with a brand. Animated logos are nothing new. Seen in the film and TV world for more than 50 years, logo idents combined brand, entertainment and technology to distinguish companies. Today we see animated logos on web and app start-up pages all the time and they have shaped our expectations of what moving logos can do for a brand. Think of Google, Airbnb, Spotify, Skype, and most recently Uber and Slack’s logo animations. While all are undoubtedly more professional brand systems than the previous identities, they still retain the playful elements and product vision that characterised the brands as start-ups. Uber’s simple and elegant logo animation – a collaboration between Wolff Olins and the in-house team at Uber – serves to reinforce the idea of a “journey” – getting you where you want to go, quickly and easily. As the sans-serif letterforms animate, revealing curves and straights, the allusion to road map and junction becomes a living expression of the company’s purpose. The use of movement to express the brand purpose is also used in Slack’s new logo to illustrate product vision. The collaborative platform relies on conversations organised by topic and the graphic elements – speech bubbles and lozenges – of the new identity animate to convey a sense of connected conversations. Still colourful and playful, it’s now also far more unique. As animated logos have pushed the limits of expression, digital technology now makes it possible for brands to create truly interactive identities, adding exciting new dimensionality into logo design. The Ollo and Oi logos illustrate designs that take advantage of the flexibility of digital platforms, and stand out as great examples of the potential of living logos to increase brand impact. Biblioteque’s responsive identity for Ollo, a broadband service provider, exploits the multi-touch function of smartphones and tablets and demonstrates how playful interaction can create a uniquely gaming-style brand experience that increases engagement and connection with customers. Using the brand colours and core logo, consumers are able to create their own logo by swishing and swiping on-screen, distorting the shape of existing Ollo mark. Similarly, Wolff Olins’ interactive logo for South American telecoms company Oi, is an experiment into how logos can become more expressive with new tech. In this case, voice interaction transforms a user shouting ‘Oi!’ into a responsive graphic – a visual reflection of the impact that conversations can have. The extension of logos into three dimensions (3D) is still relatively rare in the digital space, but when done well, it can improve expression far beyond what is possible in 2D. Two great examples are the Freeview and IBM Watson logos, which both take full advantage of the potential of 3D. Designed by DixonBaxi, Freeview’s logo was transformed as part of a new brand strategy for the UK-specific terrestrial TV platform. Intended to be contemporary and energetic, the animated logo begins with an electric flash, that draws an angled letterform that seems suspended in a 3D space. Expressive of the spirit of the brand, vibrant colours and bold form convey movement and energy that is difficult to achieve in a flat, static design. IBM Watson’s pulsing 3D “avatar”, as this logo is referred to, was unveiled in 2016. A collaboration between IBM Experience and Design, led by (ex-Wolff Olins) vice president Todd Simmons, Athletics New York and Universal Everything, this simplified and modernised version of the original logo is a dynamic reflection of Watson Illuminates– the theme at the heart of the product. Intended as a “personification of artificial intelligence” the motion of the circular forms take full advantage of 3D, bringing depth and life to notions of connectivity, neural networks and intelligence. 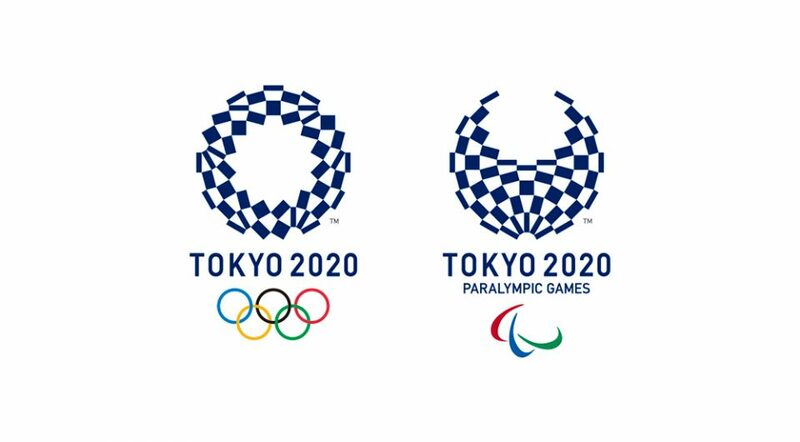 Both of these logos have achieved a spatial dimension that enables greater expression of brand essence than traditionally seen in brand design. And it begs the question of why contemporary digital-first brands take their cues from the 2D tradition of print when motion graphic branding for film and TV offers richer, more interesting possibilities that align with digital? Beyond 3D and interactive logos on web and apps, AR and VR platforms introduce the possibility of working in four dimensions (4D), extending the potential of identities for multi-platform brands. The possibility to physically interact with a logo as it were a tangible object or product could be game-changing. With emerging opportunities in AR and VR, clients should think beyond 2D and 3D forms, to the potential of experiential logos. AR and VR offer opportunities to design logos with a sense of physicality. The science fiction world has given us a glimpse of this future in films such as Ready Player One; the technology is already here to make this a reality. While AR and VR platforms are maturing, brand channels, consumer products and corporate platforms can experiment with kinetic logos as a way to express their brand’s attitude, ready to extend into 4D. From established brands to start-ups, when clients ask us at Territory Projects to create identities, we take advantage of tech and digital platforms to express unique brand qualities. Biosay is our most recent brand identity, and we feel that it demonstrates the power of living logos in bringing a brand to life. Biosay is an ambitious start-up with a wellness app that is soon to launch on the App Store. Using biometric smartphone tech, it goes far beyond conventional fitness and wellbeing trackers. 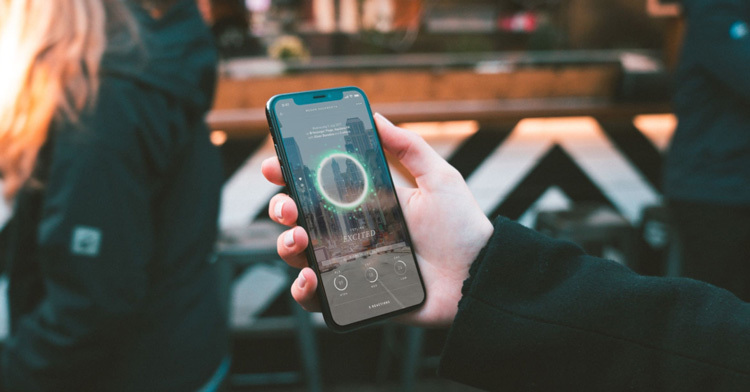 Territory Projects worked closely with founder Rachael Donalds, her data scientists and developers, to articulate complex personalised data scores into a 3D graphic device, called a Bioji. A dynamic form, it uses colour, speed and movement to express an individual’s unique state of wellbeing. Adapting the Bioji’s visual expression for Biosay’s logo and an AR icon, we created a living symbol that seems to create a glowing energy. A more expressive brand inevitably leads to a deeper emotional connection with consumers, as well as enabling a company to stand out more in its market. Clients and designers alike should be thinking about how they can use tech and interactive features to enhance the experience for users, boosting the brand’s profile in the process. Turkey’s national airline, which flies to 122 countries worldwide, has been given a branding refresh by Imagination, centred around a wave graphic that references the different continents the carrier serves. 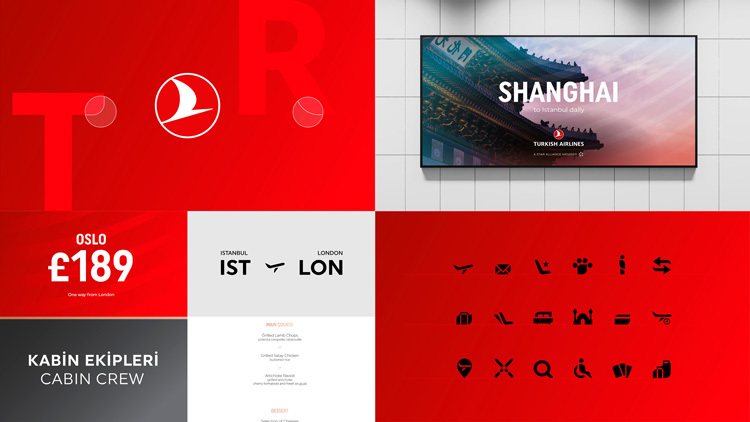 Turkish Airlines has refreshed its brand identity, refining its bird symbol and adopting a new wave graphic that looks to reflect the seven continents of the world. Global design consultancy Imagination has worked on the project, which coincides with the launch of the new Istanbul airport in Turkey, set to be Turkish Airlines’ new main hub and due to open in April. The carrier’s current hubs are Istanbul-Atatürk airport, and Ankara airport. Turkish Airlines was founded in 1933 and is the national carrier for Turkey. As of last year, the airline operates flights to 304 towns, cities and other locations in 122 countries across Europe, Asia, Africa, North and South America, making it one of the largest worldwide in terms of destinations offered. The previous branding featured the airline name set in a bold, sans-serif type in blue on the left, with a red roundel, and an abstract image of a bird set in white in its centre to the right. The line-drawn bird shape looks to reference a “wild goose”, according to Turkish Airlines, which has been chosen as its mascot as it is the world’s “highest flying bird”, reaching up to 8,850 metres, according to National Geographic. A gradient was previously used in the roundel, resulting in darker and lighter shades of red that created a three-dimensional (3D) effect. The new branding features a refined version of the goose symbol encapsulated within the roundel, which is now a flat red colour. The goose has been tweaked, now sitting at a more diagonal angle, and is smaller in size, no longer reaching the edges of the circle. The logotype is now set in white underneath the roundel, ditching the blue and resulting in a red-and-white core colour palette. The type has been tweaked, and now features rounded corners on some letters. Accompanying the logo is a wave graphic composed of seven horizontal lines, which look to reference the seven continents of the world, in a bid to convey the airline as international, says Imagination. The logo sits at the “convergence point”, or centre, of the line graphic, which looks to represent “Turkish Airlines at the centre of global travel”, adds the design consultancy. Red and white are the main brand colours, and have been used to represent economy class, while a combination of rose gold and black is the core palette for business class. 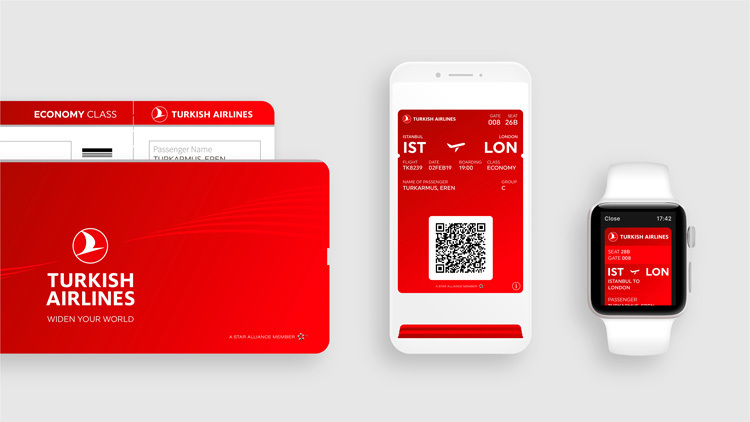 The retention of red aims to keep the “rich [colour] that Turkish Airlines is widely recognised for”, says Imagination, while the Halfeti rose gold aims to create a more “premium” and “distinctive” feel. A new set of flat graphic icons have been designed, which look to represent different elements of the airline experience, including hold luggage and items that are restricted by airport security. The new branding has begun to roll out, starting with signage, wayfinding, check-in desks and other interior touchpoints at Istanbul’s new airport in Turkey. It will continue to roll out over coming months on plane livery and interiors, digital platforms including the website and social media, print advertising materials and merchandise. Imagination has also created a set of guidelines for Turkish Airlines, so that the company can continue to produce branded products in future, such as signage, in-cabin slippers and blankets.